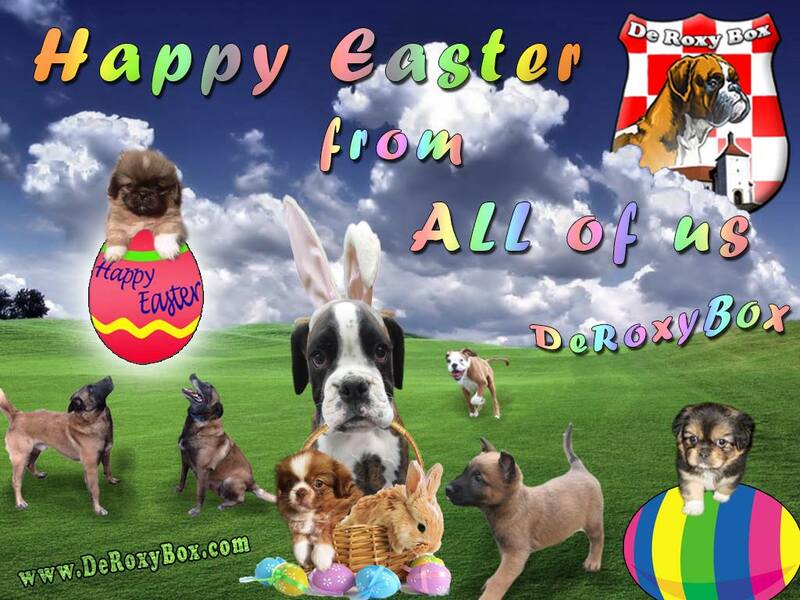 Boxer kennel De Roxy Box | Happy Eastern! « First de Roxy Box in PR China! New Litter Expecting 14. March 2018. Happy Eastern! 26. March 2016. First de Roxy Box in PR China! 20. March 2016. Excellent “Show” on CAC 2015 28. June 2015. New Puppies !!! 16. June 2015. New Litters expecting!!! 14. May 2015. (Hrvatski) Felicity pobijedila na CAC Bjelovar 2015! 13. April 2015. Article about De Roxy Box in Newspappers! 07. April 2015. New member of De Roxy Box team! 28. March 2015. Felicity de Roxy Box i Rumba obje HD-A! 21. February 2015.